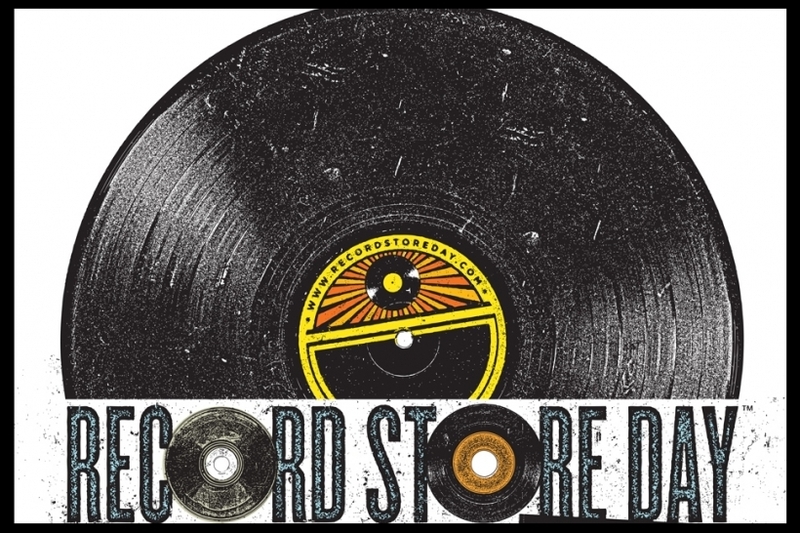 Record Store Day, the annual celebration of local record stores for aficionados of the antiquated data storage device known as vinyl will be taking place as always on the Third Saturday in April. For 2015 that means Saturday, April 18. As overall music sales continue to decline , vinyl sales increased to 6.1 million in 2013, up from 4.6 million the year before. By comparison, total vinyl sales failed to reach even one million units in 2007. As vinyl grows in popularity there’s is pressure on vinyl manufacturers, who like us all were caught off-guard by the resurgence. But shops like United Record Pressing based in Nashville, TN, the shop responsible for manufacturing White’s best-seller are expanding to meet the growing demand. The demand for vinyl is partially due to it’s described ‘warmer’ sound, BUt the real drive behind Record Store Day is uniqueness and scarcity. Maay of the releases come on colored vinyl or as picture discs and many of the releases are produced in very limited runs, some totaling no more than a few hundred. Check out the Americana and roots selections below and take a look at the full list. Get to your favorite indy record early on April 18 (I’ll be at Good Records in Dallas) and share those great finds with me on Instagram and Twitter. RSD Exclusive single featuring bonus Asleep at The Wheel performances with Willie Nelson and The Blind Boys of Alabama not included on the Still The King album. Signed by Ray Benson, and numbered. More Info: The Basement Tapes recorded in 1967 while Bob Dylan recuperated and features many Dylan songs that had appeared on bootleg records prior to the “official” release in 1975. The recording took place in Woodstock and features four members of the Hawks (Rick Danko, Garth Hudson, Richard Manuel and Robbie Robertson – and one American, Levon Helm) better known today as The Band. Individually autographed and numbered by Garth Hudson. Johnny Cash playing his greatest hits behind the Iron Curtain in 1983. Limited edition heavy weight vinyl release pressed on Soviet Red 180 gram vinyl. Steve Earle A-side version of Terraplane (a song not on the record) and a b-side of Robert Johnsons “Terraplane Blues”. Will be mastered at the level of Robert Johnson’s original recording. Most of the versions you hear today are remastered and the db’s are brought up. This one will be as close to the original 78 as possible. Includes download card. Father John Misty presents a lovely, acoustic version of the title track of his latest album, I Love You, Honeybear, along with a new, exclusive B-side, truthfully-entitled “Never Been a Woman,” on a colored-vinyl, heart-shaped 7”. This release is exclusive to Record Store Day, and it is limited to 5,700 copies worldwide. 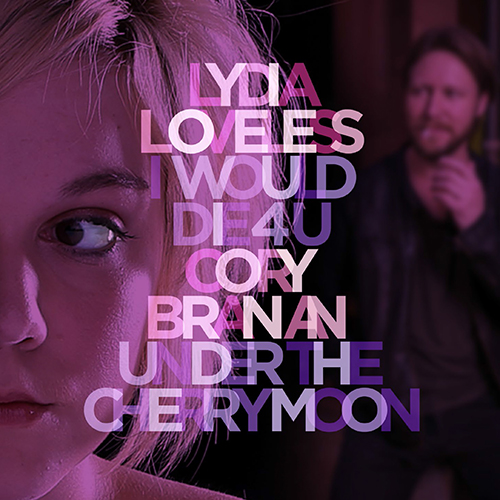 Includes download card. Crazy, coveted rockabilly recordings from legendary wildman Charlie Feathers! Includes all eight of his King sides as originally issued in ‘56 & ‘57 – now rare and pricey 45s and 78s – with new notes from Colin Escott. 7″ 45 RPM Vinyl is Circle swatch splatter Bronze on Baby Pink. Part of Rhino’s now celebrated RSD exclusive Side By Side 7″ singles series. Two artists perform the same song. Surprising and unusual performances and repertoire. 12″ vinyl featuring live smokin’ versions of classics from the recent Goin’ Home project as well as a couple extra blues nuggets. Much anticipated vinyl issue of the Texas troubadour’s breakout 1994 release. Bootleg style 7″ hand numbered and hand stamped. First physical release of music from the upcoming album. Location is everything. When Willie Nelson and album producer Daniel Lanois set out to create a cinematic-sounding album, Teatro, they took over a disused movie theatre in Oxnard, California, and pictured its dusty glory on the LP sleeve. Recorded as-live in situ amid the red velvet seats, Teatro sees Nelson working extensively with his frequent collaborator Emmylou Harris, who joins him for duets and on backing vocals on 11 of the 14 tracks. The other major player is U2 and Paul McCartney collaborator Daniel Lanois (producer of Bob Dylan’s Time Out of Mind, Emmylou Harris’ Wrecking Ball), who produces the album, plays guitar and bass, took the cover photo and wrote one of the album’s songs, “The Maker”, a stunning performance with glacier-thick vibe. Originally released by Island Record in 1998, Teatro is issued here as a special Record Store Day release. LA and Seattle-based Light In The Attic present the album as it’s never been seen before – on vinyl. Pressed on gold vinyl with a deluxe, gatefold, ‘tip-on’ uncoated jacket, this is a chance to own this unique album in its most beautifully presented form. Two brand new, previously unreleased tracks from Reverend Horton Heat on solid red 7″ vinyl with 150 randomly distributed clear pink copies. This collectible 7” 45rpm vinyl releases recreates the origina 1966 “Homeward Bound” single, pairing two essential Simon & Garfunkel cuts from that year: “Homeward Bound” (from Parsley, Sage, Rosemary and Thyme) and “Leaves That Are Green” (from Sounds of Silence). A Top 5 single in the US, “Homeward Bound” became a worldwide phenomenon reaching #4 in the Netherlands and #9 in the UK while going Top 20 in Australia and Sweden (where it hit #12). The cover for this RSD 2015 release is based on the German single artwork. Dolly’s seminal 1999 bluegrass debut, available for the first time on vinyl. The A-side of this RSD exclusive 7″ is a Rolling Stones cover, the B-side is an unreleased Todd Snider original. 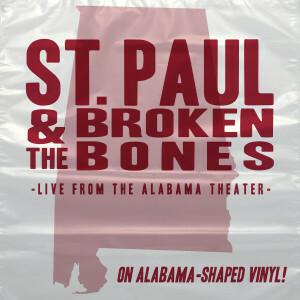 Covers of Sly and the Family Stone’s “Sing a Simple Song” and David Bowie’s “Moonage Daydream” recorded live at the Alabama Theatre on 11/14/14. 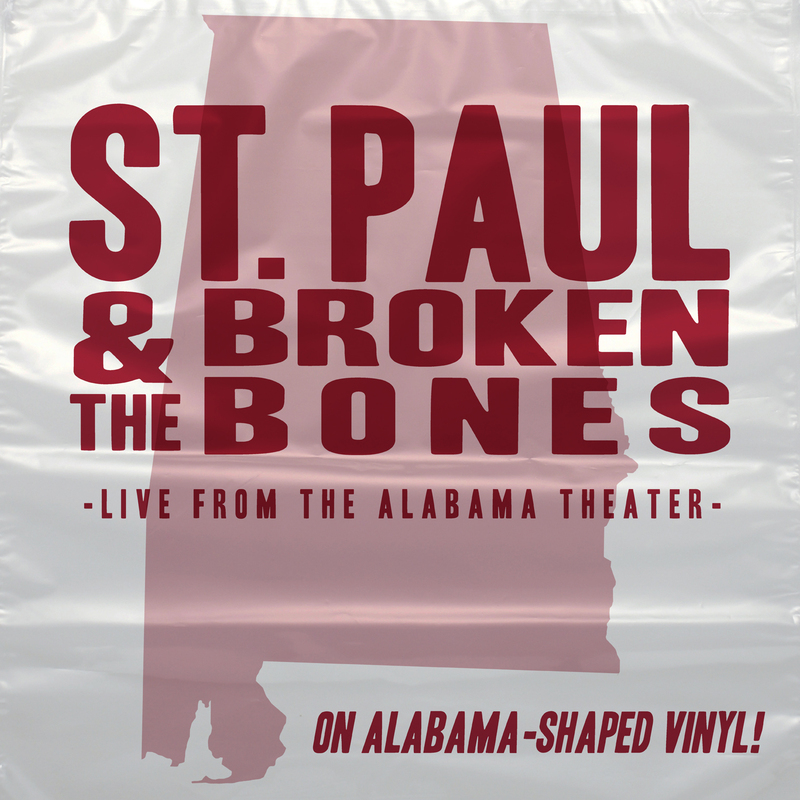 Released on a 12″ transparent crimson record SHAPED LIKE THE STATE OF ALABAMA. Fan-voted vinyl re-issue of the iconic release, re-mastered from the original tapes and presented in ‘exact replica’ packaging. Marking the 30th anniversary since Giant Sand’s debut album “Valley of Rain,” Fire America brings you this limited edition 2xLP 30th Anniversary Edition. The first disc is the lovingly re-mastered “Valley of Rain” in its entirety, with the addition of the track “Torture of Love,” which was added by Howe Gelb himself. The second disc features extra material recorded as Giant Sand and the pre-Giant Sand line up “Giant Sandworms,” including a “Valley of Rain” remix, a “repaired” version of “Tumble and Tear” along with five fascinating bonus tracks compiled from live and radio recordings from the time period. • Liner notes from Howe Gelb. Music To Drink Beer To is a limited-edition compilation put together by longtime friends Sam Calagione of Dogfish Head and Adam Block of Sony Music’s Legacy Recordings. Sam, who’s in the beer business and a raging music geek, and Adam, who’s in the music business and a raging beer geek, sat down over a few beers and a stash of well worn vinyl and picked some of their favorite tracks. Home demos and acoustic tracks recorded in advance of the new album. A live record of John playing with a full band. There are loud guitar solos, funky organ playing and a couple of unreleased covers that will really surprise some folks. The Sawyer Sessions started simple enough: new town, new building, new vibe. When the Yep Roc Music Group moved to Hillsborough, North Carolina two years ago, they wanted to find a way to integrate themselves into the creative juices flowing just beneath the surface of this historic, southern town. Named after their nearly 100-year-old office building, The Sawyer Sessions are one part video series, one part mobile recording lab, one part way to introduce the music group to their neighbors. But instead of bringing by a pie, they bring a collection of artists with diverse backgrounds and styles – Grammy Award winners, noted international songwriters, all legendary performers. They drop them into to everyday life situations and record them at restaurants, galleries and private homes – the only rule is that it has to be within the roughly 4.3 square miles of their new hometown. This record documents the best of those first year of performances and serves as a “map” of Hillsborough, North Carolina. Limited Edition Record Store Day Exclusive with hand-drawn cover art. • Newly remastered on LP! • Packaged in faithful recreation of original LP sleeves.